Published Jan 21, 2014 by Addison-Wesley Professional. Part of the LiveLessons series. 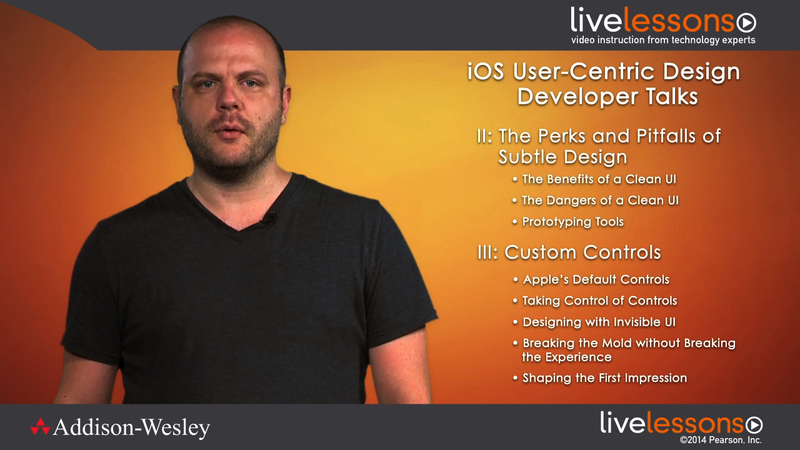 iOS User-Centric Design LiveLessons (Developer Talks)provides you with practical advice and principles for how to strategize the design of your iOS application. iOS developer Brett Terpstra explains basic mobile design principles and demonstrates how these principles are implemented in several currently available iOS applications. This presentation does not assume any previous experience with application design.